Junior Blalock, 83, of Huntsville, formerly of Cullman, passed away on Friday, April 12, 2019. His family will receive friends on Wednesday, April 17, 2019 at Moss Service Funeral Home from noon until 2 p.m. The Celebration of Life Service will begin immediately following visitation at 2 p.m. in the Chapel with Rev. Charles Maples officiating. Burial will be held at Cullman City Cemetery. Mr. Blalock worked at Kuhns many years ago and later retired from Nicholson File. He loved playing his guitar and singing gospel, country and bluegrass music. He and his wife, Darlene, had pet birds that he loved and enjoyed. 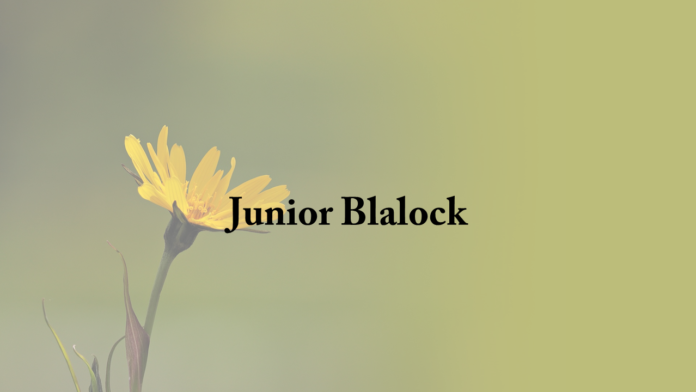 Mr. Blalock is preceded in death by his parents: Tom and Dellie Blalock; daughter, Marie Sullins; sister, Irene Welch; brothers: Huey Blalock, Alvis Blalock and half-brother, Leach Shelton. He leaves to cherish his memories his wife, Darlene Blalock; daughter, Rita Bell; grandsons: Jeremy (Amanda) Hyatt and Casey (Molly) Bell; great grandsons: Garrett Hyatt and Lane Hyatt; sister, Inez Ayers; brothers: JD Blalock, Charles Blalock, WT Blalock; half-brothers; Freddie Shelton and John Robert Smith and a host of nieces, nephews and cousins. Previous articleObituary: Coy Wallace Lauderdale, Jr.